Harrods knows how to celebrate the holidays! Each year they kick off the Christmas season with their fun and lively Harrods Christmas Parade through the streets of Knightsbridge to celebrate the arrival of Father Christmas at the famous Harrods Christmas Grotto. This year’s parade will take place on Saturday, November 3rd at 8am, when the parade will weave its way down Old Brompton Road and arrive at Harrods for the store opening at 9am. This year to celebrate the recent opening of Harrods’ Disney pop-up shop, Father Christmas will be joined by Disney friends, giant teddy bears, dancers and the always popular reindeer. If you’re in London this weekend, the Harrods Christmas Parade is a fun way to get into the Christmas spirit and kick off your holiday shopping at Harrods! Enjoy the Harrods Christmas Parade in London! 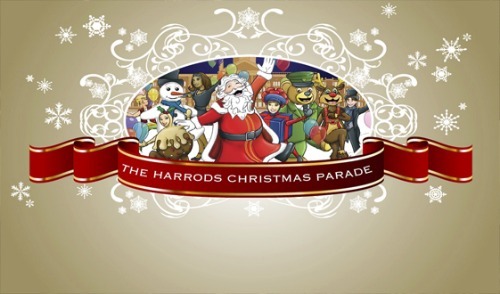 To enjoy a live stream the Harrods Christmas Parade, visit the Harrods Facebook page to find out all the details! PREVIOUS: Go Ice Skating in South Kensington! Posted on Friday, November 2nd, 2012 at 4:34 pm in Shopping. You can follow any responses to this entry through the RSS 2.0 feed. You can leave a response, or trackback from your own site.